With all the cocktail books that have appeared, we finally see many cocktails secrets in the spotlight. Authors are telling us those special things that mixologists, for generations, have done to fashion exceptional cocktails — ones that we have been unable to duplicate at home for ourselves. The cocktail secrets include fruit flavors and sugar. Your great cocktail bar margarita probably came with an equal amount of both lime/lemon juice and sugar syrup. Simple syrup in cocktails works, chemically, to smooth and simultaneously amplify the flavors of your spirits. Alcohol by itself can be overwhelming. Alcohol with sugar acquires an aura, and an aroma, of civilization. Even better than plain sugar syrup is one flavored with fruit. 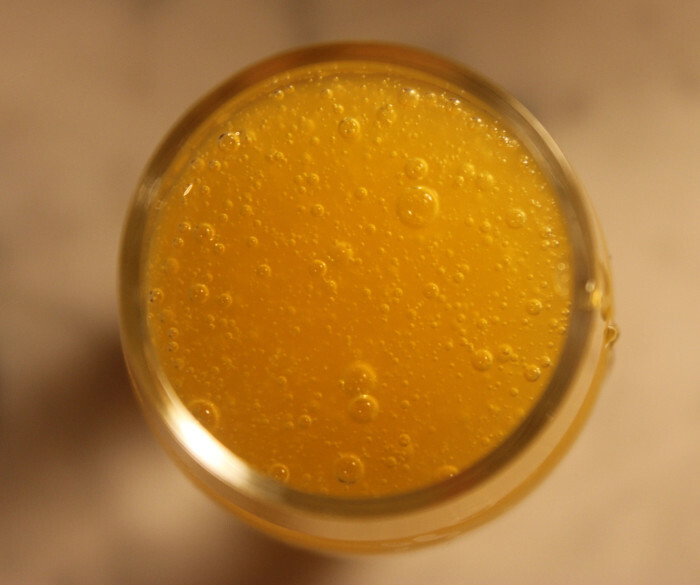 Mango simple syrup is a device of enormous utility in your cocktail world. Using this syrup in your margarita adds a complete new layer, a nuanced layer, of flavor. Rum, whiskey, and even gin are marriage partners-in-waiting. Need a specific recipe? Look tomorrow for a Mango Grapefruit Daiquiri! You can make this today, but use it within a week. Even refrigerated this syrup has short shelf life. Put the water and sugar in a saucepan and stir to mix. Apply medium high heat and bring to a boil. Reduce to a simmer. Add the mango pieces and simmer for 15 minutes. Turn off the heat and allow to cool to room temperature. Strain to remove the mango pieces, pour into a jar, and refrigerate.